William Edward Horley was born on 5th June 1870 in England. He first arrived in Singapore in 1894 and taught in the Anglo-Chinese School (ACS), Singapore for about 18 months as a member of the Methodist Episcopal Mission, an organisation that had been active in Singapore since 1885. However in 1895, he was required to move to Ipoh to take over the post of the Reverend T W Stagg, who had returned to the United States. This was not by choice as it is recorded that he was sad to leave the Singapore school having set up a good relationship with the students there. He arrived in Ipoh on 31st July 1895. The reason for his transfer was to set up a new Methodist school in the town, a task that his predecessor had attempted and failed earlier that same year. Just five days later, on Monday 5th August Rev Horley opened the Anglo-Chinese School, Ipoh in a small, attap-roofed Malay house. A few weeks later he opened the girls’ school as an integral, but separate part of the original school. It remained thus until 1914 when it took over its own premises. Thanks to his hard work and the generosity of the local residents with their donations and the assistance of the government who sold him the land, soon Horley had two growing schools underway and in 1896 he built a combined Church and School building, in Lahat Road, followed in 1898 by a new school building (July) and Gymnasium (September). 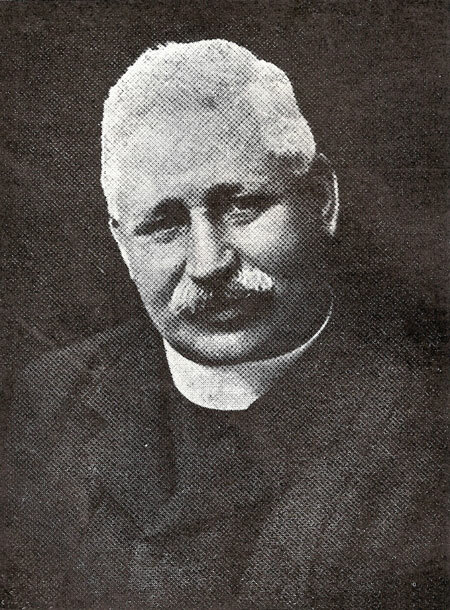 However, he was not the school Principal for all of this first five years as while he remained the driving force in expanding these schools and starting others as outstations from the Ipoh school, the Mission sent the Rev A J Amery as Principal in 1896 and a Dr Eglund took over in 1897 for a short while. In 1898, Mr Wood was in-charge of the Boys’ School and Miss Grace Towers of the Girls’ School. In March 1900, after almost 5 years of hard work in Ipoh, Reverend Horley went on leave. Apart from the Ipoh Schools he had also been instrumental in starting a new school (as an outstation of the Ipoh school) in Teluk Anson (now Teluk Intan) in 1898. He left behind plans for a new Boarding School (Hostel) with the new Principal, Dr H L Luering, who spoke both Cantonese and Hokkien. It was built soon after by Dr Luering who also followed in Horley’s footsteps by starting new work in Kampar and Teluk Anson. On return to duty in 1901 Horley was appointed to Kuala Lumpur with the new task of founding and building the Methodist Boys’ School there. Successful, he remained in this appointment until 1909 when he was transferred back to Ipoh. However, in 1902 he had taken on an additional task which culminated in the founding of ACS Sitiawan that same year. He was mainly responsible for establishing the high reputation of both the Methodist Girls’ and Boys’ Schools in Kuala Lumpur. The photograph above is from the Methodist Boys’ School and estimated as dating from 1906. On his return to Ipoh as Principal, he found his schools flourishing, but this was not enough for him and so he embarked on a new project, another larger and grander building for the schools, which was to be funded by public donation. His fellow missionaries thought that raising the sort of money this project needed would be impossible, but in 1914 the building was opened by Sir Arthur Young, having been funded by $68,000 from the public boosted by a government grant of $25,000. During this period he had also assisted other Missionaries in the founding of yet another school, ACS Parit Buntar in 1910. ‘in recognition of his services in the cause of education and social reforms in Malaya’. He left Ipoh again in 1915, leaving the boys school in the hands of Mr T W Hinch. Horley was a man of vision who was ahead of his time in more ways than one. He had a tremendous effect on education in Malaya, being associated with the founding of a total of 27 schools, six of which he founded personally and although some have changed their name and moved on as government schools they remain as ‘Horley’s schools’ in the minds of many people. In recognition of all he did for Ipoh and Perak, Horley Street in Ipoh New Town was named after him, today it remains as Jalan Horley.